The hardwood floor you want for your building - your home, your office, even for your castle - is almost certainly here. 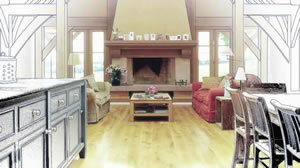 By choosing Ted Todd, you are deciding to work with one of Europe's leading hardwood floors specialists. This is all that we do. We are totally focused on this one business and on providing you with the absolute best it has to offer. Our mission is to provide a range of natural, easy to maintain hardwood flooring that creates the perfect ambience for its surroundings, whilst providing the individuality you expect from a floor as unique as you are.